‘Crooked Arm’ was the name Kim-kim’s classmates called him in the schoolyard. It was an unsurprising nickname – the six-year old’s dislocated elbow hung at an obvious and uncomfortable angle. The bullying didn’t stop with name calling; unable to defend himself, Kim-kim was pushed around and roughed up in the schoolyard as well. It got so bad that the little boy didn’t want to go to school. 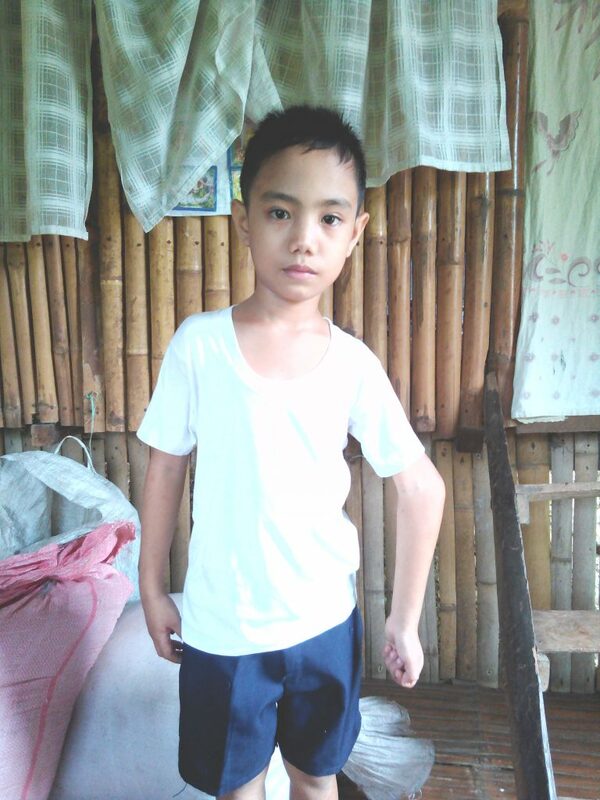 His parents, Aisa and Jovie, desperately wanted their son to be cured, but Jovie’s wages as a farmer’s helper only total US$33.33 (PHP1,500) a month. Like all of the families ICM works with, this meant Jovie had a daily struggle to provide even the most basic necessities for his family of four. Medical treatment was an additional cost this family did not have the funds for. 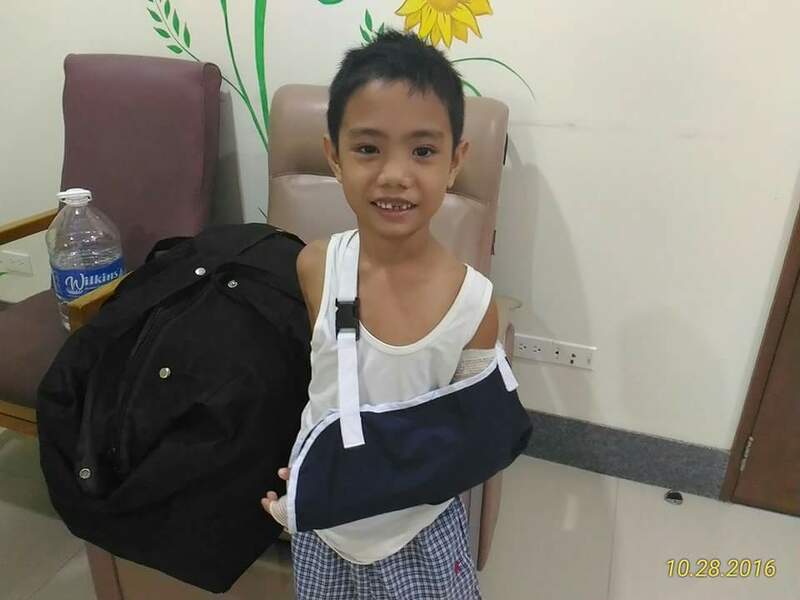 The small US$3.33 (PHP150) amount that Aisa and Jovie saved to provide medical care for their child covered the cost of the journey to the hospital and one X-ray. Doctors diagnosed the dislocation of his elbow and explained that surgery was needed to correct the dislocation. Jovie and Aisa were despondent. They would never be able to raise the sum it would take to cure their son. In the lives of many that live on subsistent level, one medical crisis can wipe out any progress made in the fight out of poverty. ICM works with families to help them remove as many barriers to quality health care as possible. In 2015-16, ICM assisted 183 patients with surgical needs and 2,069 patients with non-surgical needs.